Hidden BMX Magazine is a new Japanese magazine. It's a side-project of the Hidden Champion Magazine that already exists for 10 years: "Established in 2003, HIDDEN CHAMPION is a free japanese Magazine featuring 'hidden champions' of many cultures." The first issue of Hidden BMX was announced about a month ago. Tsutomu Kitayama is on the cover doing some rather wild looking jump. Inside on the 72 page you'll find stories about the Flat Ark, KOG, an interview with Tsutomu and Hiroshi Uehara as well as street content like the Animal Japan Tour. A full listing is available on their website. 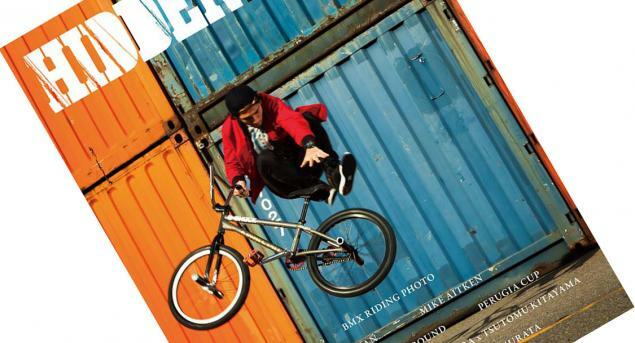 Hidden BMX #1 is available for free. We just don't know where, probably in certain stores in Japan. If you want a copy you can order it for about 3$ here. It looks like they only ship to Japan.